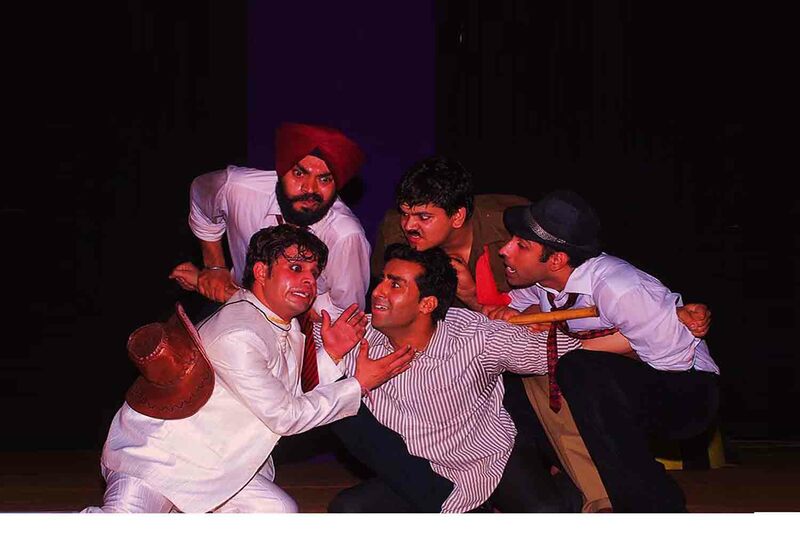 Ek Tha Gadha is one of the most popular modern satires in Hindi. The play comically attacks the ruler who is blinded by power and will do anything to retain it. The ruler of a small town in the play wishes to do something to attract the attention of the masses. News arrives of the death of a certain Allahdad Khan and the ruler declares that he will give a royal farewell to the departed soul. I is only towards the end that he discovers that the departed one was in real the donkey of the town's washerman. Lots of fun and drama happens in the play as the tale depicts the sad tale of the common man, the nexus between the administrator and the protector and the plight of a country governed by such a ruler. he play was performed to a packed hall at Desh Bhagat Yadgar Hall, Jalandhar for Desh Bhagat Yadgar Committee, Jalandhar.